After a relatively short period of time, we decided that we’d like to make things more permanent; it just seemed right. Travelling back and forth from Monmouth was difficult, and time consuming for her, and it meant that we could only see each other a few times a week. There were a couple of issues to contend with: where would Nicky carry on Millie and Me, and how would Millie (a Labrador) get on with Dizzy and Rascal (my black and white cats). First of all we tried to introduce Millie to the boys. On her arrival there was a high speed exit through the cat flap. 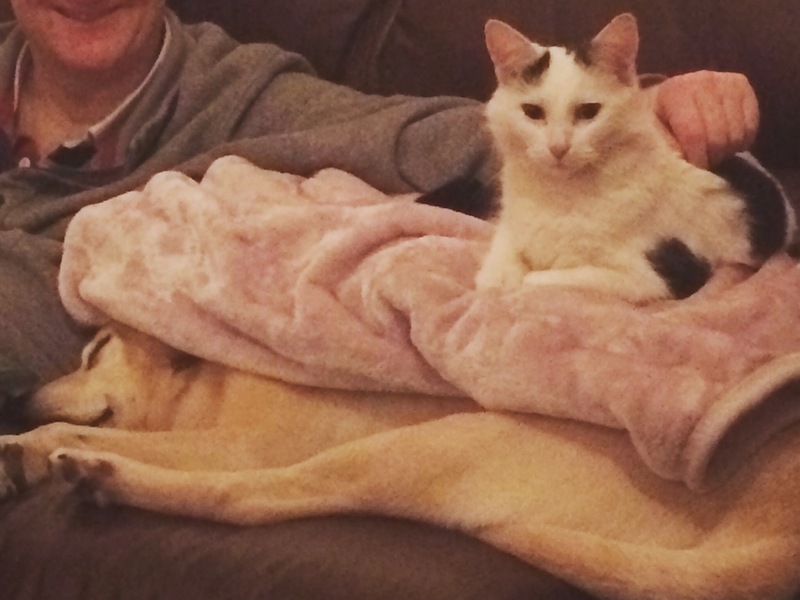 Millie was very calm, and seemingly disinterested in cats. Eventually they came back in, treading cautiously and slowly back into the house. They gave Millie a wide berth, but they seemed to be prepared to give her a chance. From my perspective it was great to have Millie around. I’d always wanted a dog, but it had never been convenient or fair to have one because of work commitments or circumstances. With Nicky working at home it became feasible. As time went on the cats became more trusting, and as you can see from the picture, they became very friendly. Millie was so well behaved, and rarely touched the cats food, even when we were out. The other issue was a bit more problematic. Not to be defeated, I looked into converting the loft into an office where Nicky could carry on with Millie and Me. You might think that after only a few months of being together this was crazy, but actually after talking to a few friends and builders, to do this seemed like a good investment anyway. We went ahead and had the work done, creating a space in the loft that I can’t even get to because it’s upstairs. It took several months to be completed, but once done, it made a great room for the business to operate from, and a great master bedroom for future owners. What became more of a problem was having live in care. I had been used to it for some years, but the dynamic was completely different with 3 in the house 24/7. Even though carers had their own space, you could always feel that they were there, and the house didn’t feel like our own. It felt like we were naughty teenagers with our parents upstairs when we were just watching a film on the sofa downstairs. Obviously Nicky wanted to start to make the space her home too, and planned things to be how she would want them. This is difficult with others around. It is also very difficult to come to terms with another woman being with your boyfriend for so much time, and in such an intrusive way; helping with washing, dressing, and personal care needs. Even going off to rugby training with another woman felt strange to Nicky. I tried to explain that I just need somebody with me to facilitate me doing anything; there are professional boundaries, but being with somebody for such a period of time you have to be sociable, otherwise it would be awkward. As time went on, we tried to reduce the amount of time that we had care, with Nicky taking on more of it herself. In order to do this she undertook training from the District Nurses, and from Stoke Mandeville. Having done this she was better trained and able to carry out procedures that the agency trained carers weren’t allowed to do. After a few months of working around live in care, we discussed with the NHS the possibility of managing my care differently, through Personal Health Budgets. This meant that we could employ our own carer locally, get them trained in things that they need to be trained in to deal with every eventuality, and be available for hours that worked around us. It took a while to get everything in place, and to get the person trained, but the outcome was much better. We had more time to ourselves together, and apart, if that makes sense. The situation is by its nature slightly unusual, but it’s one of those things that you have to adjust to, manage, and talk about. It’s a difficult line to be drawn by the carer, and really needs a person who is quite perceptive, discreet, and adaptable. 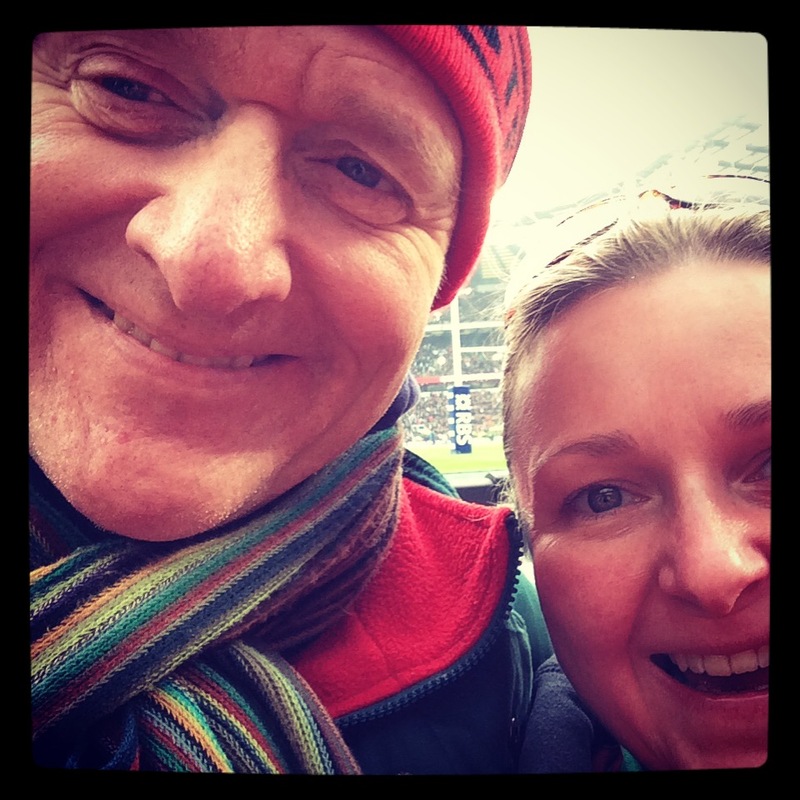 Shortly after moving in, we went to Twickenham to watch one of the Autumn international rugby games. 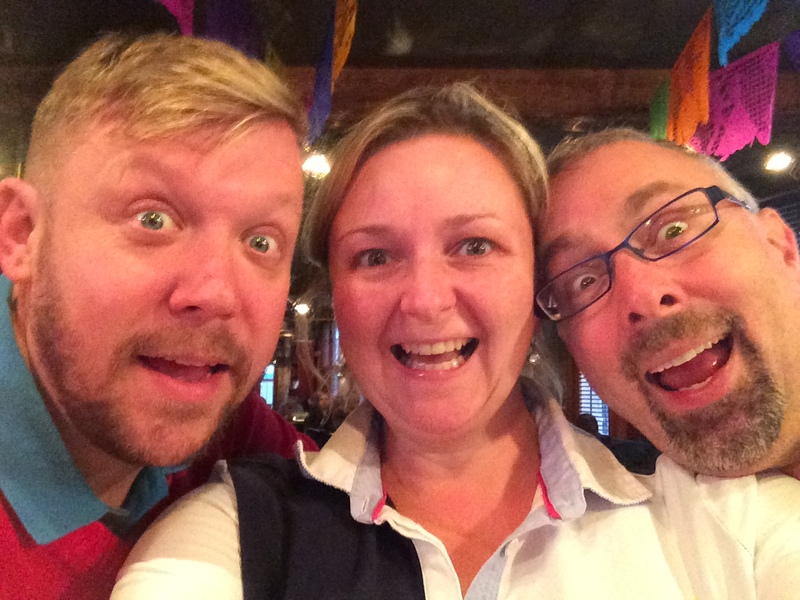 Nicky decided that this would be a good time to properly meet one of her best friends, Mary and her husband Andy. I was told that it was essential that I met with Mary’s approval, otherwise it was over. After the game we went to her local pub. I remember this well because Nicky ordered the drinks from the bar, and completely misjudged how she passed the glass to me. She handed me a glass of wine above head height, and as I tried to hold it, my hand turned over and tipped the entire glass over me. I didn’t feel that Mary would get a great impression of me from this, and might think that my needs would be too great for Nicky, or anybody to take on. Such events do make me quite self conscious and conspicuous. Apparently I was approved! Soon after this we were invited to the wedding of Mike and Barry in New York; another pair of Nicky’s closest friends. Apart from being away for a day or two here and there, this was quite a challenge. I need quite a lot of medical stuff with me, so Nicky had suitcases and me to cope with. Barry and Mike were so understanding and helpful, finding suitable accommodation and transport, as well as helping where necessary. This even stretched to both Barry and Nicky getting in the back of the taxi to stop my wheelchair moving around; this was on the way to their wedding ceremony. Despite being an adapted taxi, the driver seemed to have no idea how to attach the straps to the chair, and he didn’t even have enough straps. With the USA’s litigation culture, the lack of safety in their taxis surprised me. Every time the car stopped I flew forwards into the seat in front. This was the first time that I’d met Mike, and I knew that Barry and Mike’s opinion would also be important to Nicky; again I felt like a lot of work. The wedding, the people, and the trip however were wonderful. We managed quite well; discovering that going on the train back to the airport was actually more comfortable than the taxis. For years I had been travelling over 80 miles each way to train with the Pirates (now the Ospreys) in Llantrissant. In January 2014 a new team started up much closer to home in Gloucester, backed by the Gloucester Rugby Club, and the University of Gloucestershire. Training for this was on Sundays, so Nicky came with me. 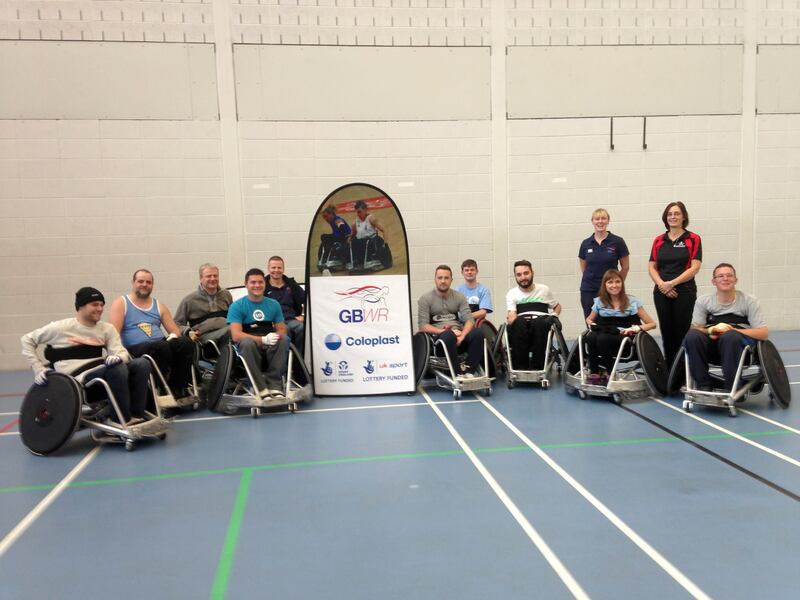 As the only person in the team who had any experience of wheelchair rugby, it wasn’t long before I got involved in the coaching of the team, and also as Chairman. Nicky also fell in love with the sport, becoming Secretary, helping out on the bench, doing mechanics, and generally supporting the team. I continued to train and play with the Pirates, and in the April we went to Cologne on a bus with them. This trip was fantastic fun, and Nicky got on stuck in helping with the team, and all the other support crew. It was wonderful that I had found somebody who enjoyed being involved in doing one of the things I loved. Shortly after this we went to Ireland to take part in an exhibition game with the team to promote the sport over there. This was another great trip; but much less serious rugby. I hadn”t forgotten about sailing since selling my SKUD 18, focussing instead on my Liberty. Obviously I need help rigging and launching my boat, as well as hoisting me in and out of it. Now that Nicky was doing my care at weekends and when we went away together, I also needed Nicky to learn how to do all the boat stuff. Fortunately she embraced this too, becoming great at setting it up right for me to race. Regattas are hard work, not only does Nicky have to get both of us up and dressed in sailing gear, but also she has to clamber about in boats on and off the water, involving lots of lifting and knot tying. I think she looks forward to pushing the boat off for a bit of peace and quiet. To share the load a bit, I do at least take on the driving and towing to give her a break in the car. Like the rugby, there is quite a community of helpers and partners who help each other, and who are also quite sociable. Nicky fitted right in with this group as well which made the experience much more enjoyable. It was always difficult having different carers all the time; trying to explain from beginning to end how to do everything. Some carers got it more quickly than others, and often I had to call on the help of others, who had enough on their plate looking after the people that they were with. 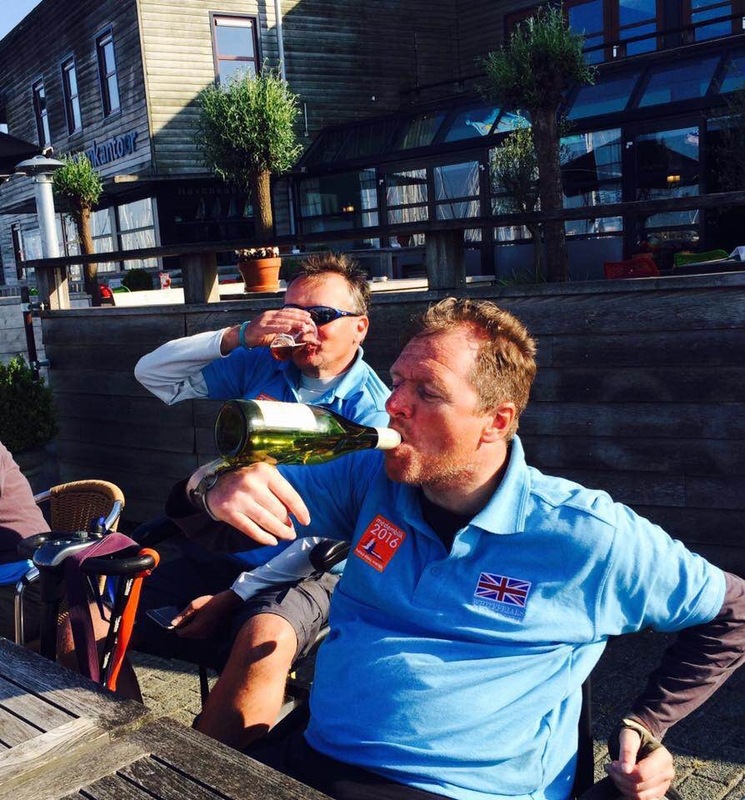 Over the season Nicky got to know people on the Hansa circuit, but also at our local sailing club, Whitefriars. As well as helping out with me, she also helped out with the catering after Wednesday night racing. Kindly on these nights some of the other members pitched in to help with my boat. Nicky was keen to have a go at sailing as well and took part in a level 1 and 2 course at the club. Although she enjoyed the sailing, she didn’t quite get the bug for it, but I’m hoping that when there’s a suitable boat at the club that we might be able to do some more sailing together; maybe even racing. Apart from the fun of doing all these things together, Nicky still had her business to run. This was something that I could also get involved with. Although I’m not a technical genius, these days software and apps enable almost anybody to create designs and web sites. 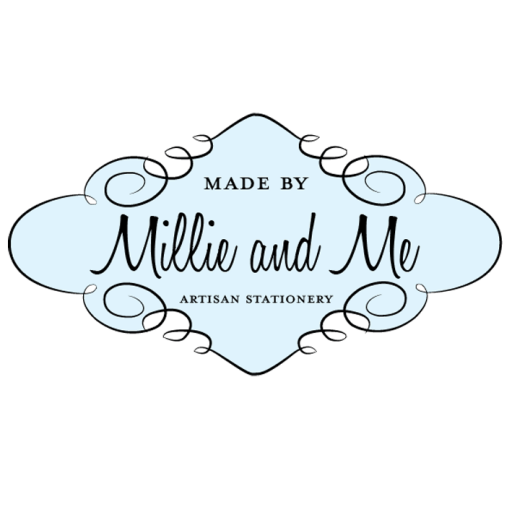 I created the Millie and Me branding and the web site, but also helped with the pricing, business model, and marketing. There’s also all the boring accounting and tax return stuff that has to be done. I quite enjoy learning these new skills, and marketing in the Wedding industry, which is completely different to the big corporate marketing that I had been involved with. Also all the marketing channels and approaches have changed significantly in my absence. One benefit of being with me that I don’t think Nicky had forseen, is the cheapseats at rugby matches, but also at concerts. We have similar tastes in music, well mainly. We’ve been lucky enough to go to Roger Waters, Foo Fighters, Coldplay, Jools Holland, and Tom O’Dell. Also we both love comedy and have enjoyed a very funny night watching Marcus Brigstocke doing a podium dance at a Theatre in Cirencester. Milton Jones was also well worth a watch. Whenever we go out we always seem to meet new people; we’re both quite sociable, and its great to feel comfortable wherever we go. 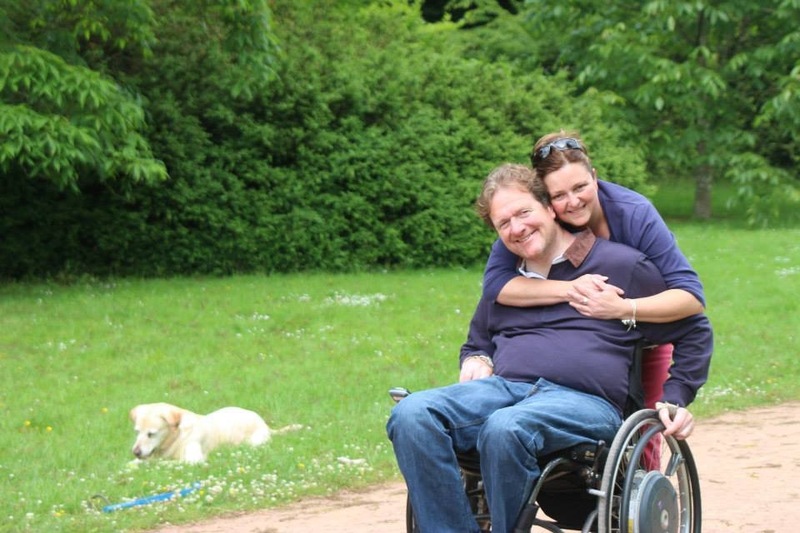 In the early days of my injury I felt conscious of people looking at me in my chair, but with Nicky I feel much more confident, and I feel that she’s actually proud to be with me too. So, on balance the decision to move in together seems to have worked. coldplay, Cotswold wedding planning, cotswold weddings, disabled, disabled weddings, foo fighters, Gloucester, Gloucester Rugby, Liberty, living with disability, Marcus brigstocke, Millie and me, Millieandme, Milton Jones, Spinal cord injury, undateables, wedding planning, Wedding stationery, weddings, wheelchair rugby. Bookmark.